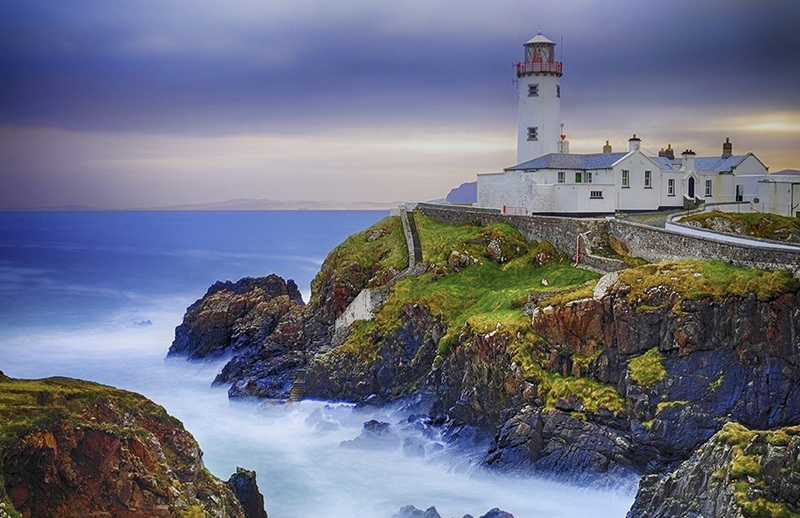 Touring around Ireland is a relaxed unspoiled country where you can enjoy the outdoor life. From the pure unspoiled landscapes and the drama of the coastline to the country’s dynamic cities mixed with the magic of thousands of years’ worth of culture and history, Ireland’s energy and romance will win you over. Many fine historical establishments showcase contemporary interior design and sophisticated elegance. Ireland also has a culinary landscape boasting exquisite home-grown ingredients from the sea to the land, which is why Motorhome hire in Ireland is very popular. 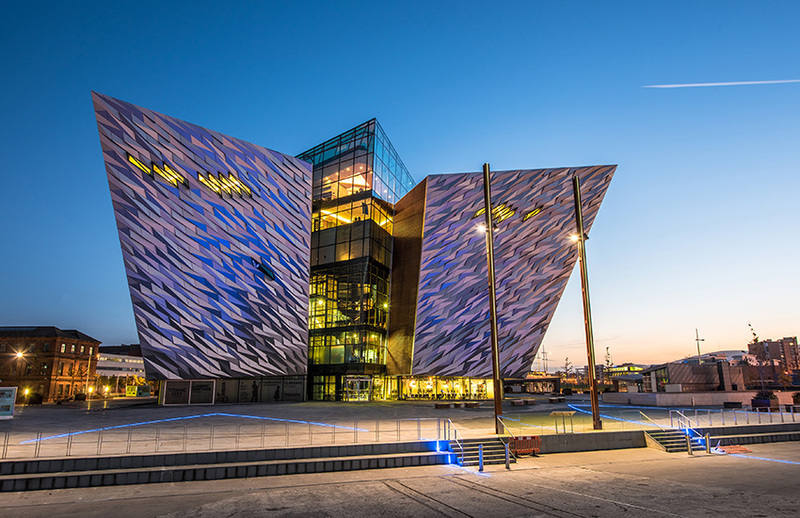 Belfast is Northern Ireland’s capital and the birthplace of the Titanic which famously struck an iceberg in 1912. In remembrance there is a Titanic quarter in the renovated dockyards. Voted as one of the worlds top destinations in 2012 it is a bustling city with stunning scenery, historical landmarks and a vibrant city centre. A museum commemorating the ship and the lives lost on her maiden voyage. 46 Great Victoria Street, this pub attracts visitors worldwide, including President Bill Clinton. The BBC have produced a documentary about it. The largest museum in Northern Ireland, there is fine art, history, natural science and three children’s discovery centres focusing on art, nature and history. Dublin is the capital of Republic of Ireland. Most would agree that Dublin is not the most beautiful city in the world, although the Georgian bits do ooze elegance. However the city has a personality which is more important here. 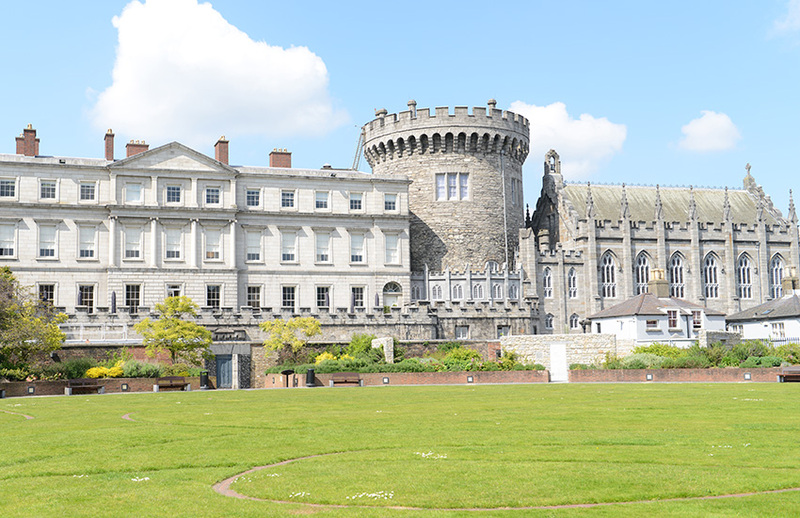 Dubliners are great hosts and the atmosphere there is so infectious and charismatic that you may never want to leave. To experience Dublin’s inhabitants at their best you must spend some time in a pub. A night out in Dublin’s pubs is one of the most memorable experiences of a visit to Dublin. You can have a tour of the gaol which has an eerie feel to it. The tour provides you with the history of the gaol including the uprising in 1916. Advance booking is advisable. Learn about the rich and interesting history to Irish Whiskey and enjoy the generous samples. Armagh is the ecclesiastical capital of Northern Ireland, the smallest of the six counties but not short of history, culture and scenic landscapes. A grand and imposing buildingfrom the outside, the architecture is stunning. It is situated at the top of a hill with nice views. There are some lovely walks here, both long and short to suit all abilities. Enjoy the scenery and the different animals there- the resident herd of deer, some rare breed sheep and a poultry collection. Galway is a harbour on Ireland’s west coast. It is an arty, bohemian city with brightly painted pubs, street performers, the city buzzes with a contemporary and cultural vibe. Students make up a quarter of the population. Remnants of the city walls lie between shops. 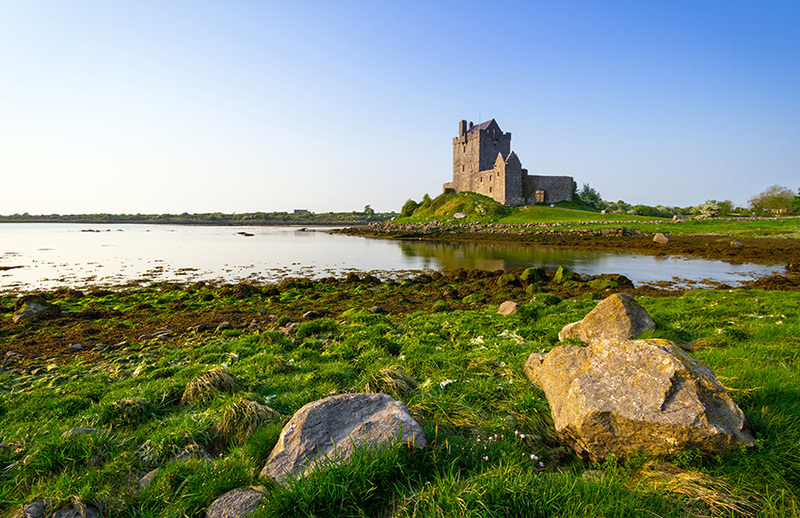 Galway is often referred to as the most ‘Irish’ of Ireland’s cities. It is the only city in Ireland where you’re likely to hear Irish spoken in the streets, shops and pubs. What is there to do in Galway? Galway has an ever changing landscape. From harshness to beauty. This is a lovely area to explore the views. Drive along the western seaboard with the Atlantic Sea to your left, this is stunning, you will have to keep stopping to admire the area. You can also do a variety of walks within the National Park. This is an Irish street filled with stores for shopping, pubs for eating and drinking and entertainers trying to make a living. It is a busy street with a mix of tourists and locals. A grand cathedral in a lovely riverside setting. It is a good landmark as the dome can be seen on the skyline. Recent rennovations enhance its beauty. Cork is just inland from Ireland’s south west coast. Known as Ireland’s second city. Locals refer to it as the real capital of Ireland. The compact city centre is set on an island in the River Lee surrounded by interesting waterways. This is a lovely old market with lots of fresh produce available. There is a fantastic restaurant upstairs where you can sit and look over the vendors below to soak up the atmosphere. A 100 acre wildlife park located on Fota Island. The park is home to nearly 30 mammal and 50 bird species. All animals are on view, the park is very well laid out. A great day out for all the family. The cliff walk is from Ballycotton Village to Bollyandreen beach, it runs along a cliff track with meadows on one side and the sea on the other. It is a 5 mile walk with stunning views. Kilkenny is a medieval town in southeast Ireland. The town has deep religious roots and has many well preserved churches and monasteries. It lies just 75 miles south west of Dublin. The River Nore flows through the town splitting it in two. 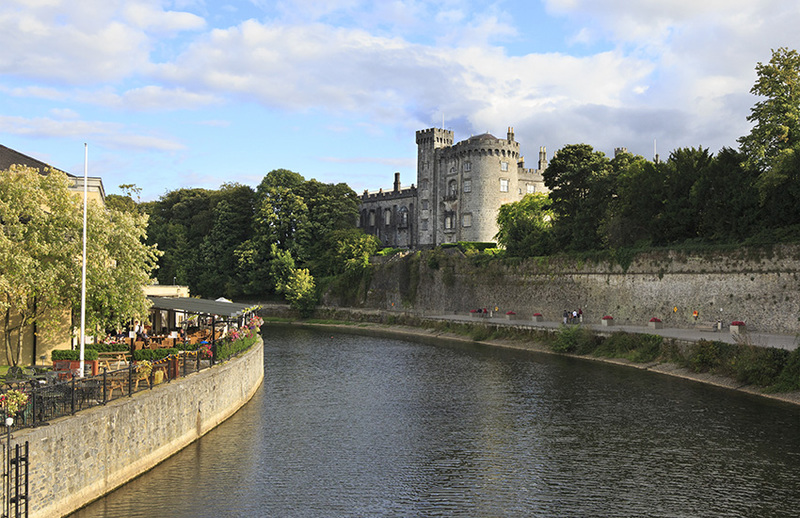 Kilkenny is a centre for arts and crafts, and home to a host of fine restaurants, cafes, pubs and shops. What do see in Kilkenny? This is one of the finest castles in Ireland. It has wonderful grounds, the setting looking over the river is breath taking and the grounds are open as a free attraction. The castle is huge and it is well worth doing the tour there. A brewery experience. Find out how the ale arrived in your glass from a medieval abbey. Meet the ale that has taken centuries of turbulent times on the chin and survived the odds. It is brewed using the finest ingredients and centuries of experience. Your journey at Smithwicks starts in 1231 and carries on through time. Book a two hour guided cycling tour with Kilkenny Cycling Tours which takes you around the historical and cultural sites of Kilkenny. There are bikes to hire (if you need to) and the tour uses riverbank paths and back streets to avoid heavy traffic. Derry, also known as Londonderry is a city on the River Foyle in Northern Ireland. It has perfectly preserved 17th century walls along with bastions offering wide views over the historic streets and buildings on one side and the blue Donegal hills on the other. Well worth the time. The local tourist board has done a good job providing information and making a feature of the walls. There are notices at various points explaining the different gates/views etc. For people who remember the troubled past it is quite sobering looking at the divided city and the locations that are familiar from the time of The Troubles. 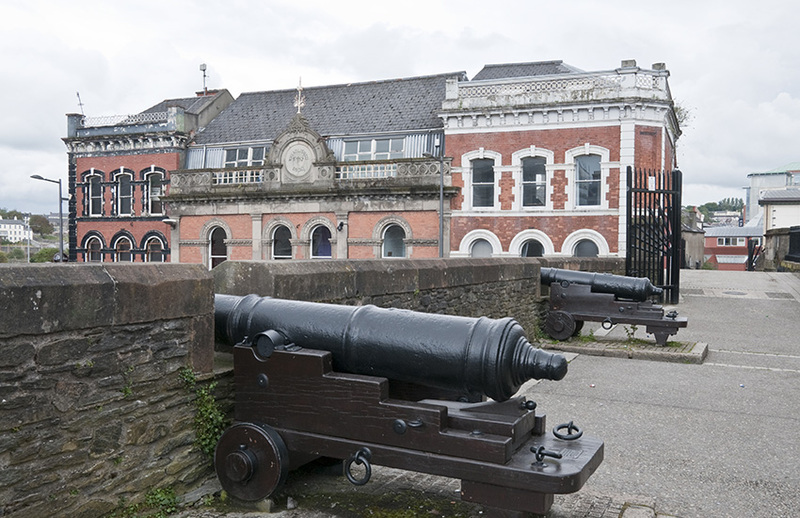 Londonderry is the only city in Northern Ireland with an intact surrounding wall. Opened in 2011 costing £14 million to build, the length of two football pitches. The bridge was funded by the E.U’s Peace lll programme under the shared space initiative which supports projects that bring together communities that have been formerly divided. Walk with Derry City Tours for an award winning tour, no need to book, the tour leaves 11 Carlisle Road every day at 10am, midday, 2pm and 4pm, lasting approximately 1 hour. The walking Tour has been listed by many as one of the best experiences they have had on their travels anywhere. 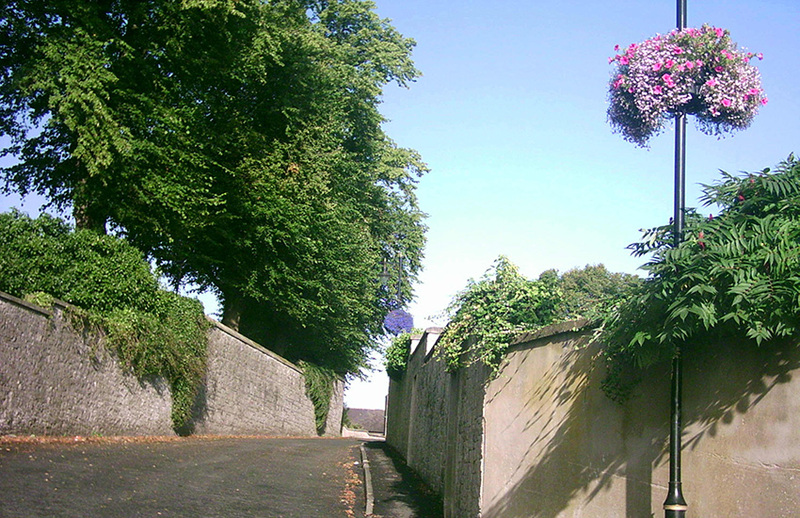 County Wicklow is a region south of Dublin in the east of Ireland. Wicklow is known for its mountains, coastline and the Wicklow Way. What is there to do in Wicklow? The Wicklow Way is now part of a network of long-distance self-guided walking trails, (also called ‘way-marked ways’), throughout Ireland. Some of these walks are in really remote upland areas. They include mountains, upland lakes, steep-sided glacial valleys, fast flowing mountain streams, forests and farmland. Take a drive through the sally Gap. 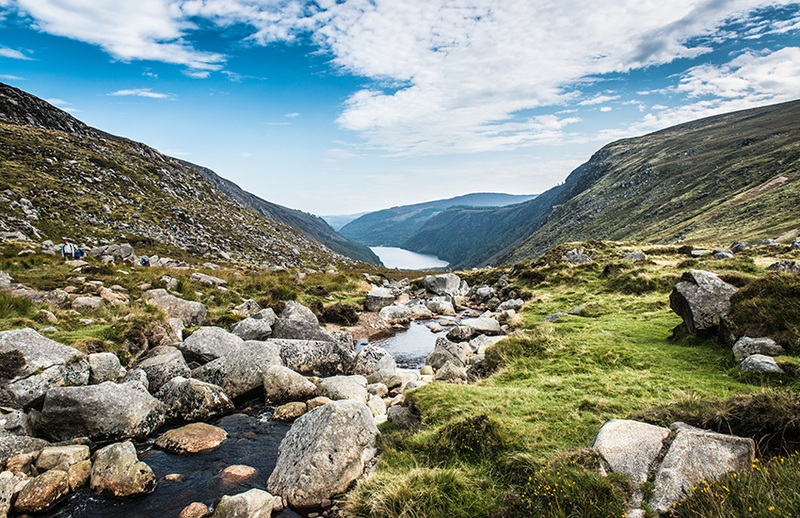 The Sally Gap is a mountain pass at 1650 feet located in the Wicklow Mountains. The pass is traversed by the R759 road. The drive is definitely worth it. On the road to Sally Gap there are spectacular views of the surrounding blanket bog and the Wicklow Mountains. Here you will find lovely, well maintained gardens to stroll around. There is also a lovely terrace where you can sit and enjoy a coffee and admire the views. There are also small shops there. County Kerry is in the south west region of Ireland. It is an area well known for Irish speakers. Kerry faces the Atlantic Ocean and features many peninsulas and inlets. It is one of the most mountainous regions of Ireland. The Ring of Kenny is a scenic drive around the Iveragh Peninsula. It is 179km long. You will see rugged and verdant coastal landscapes and rural seaside villages. 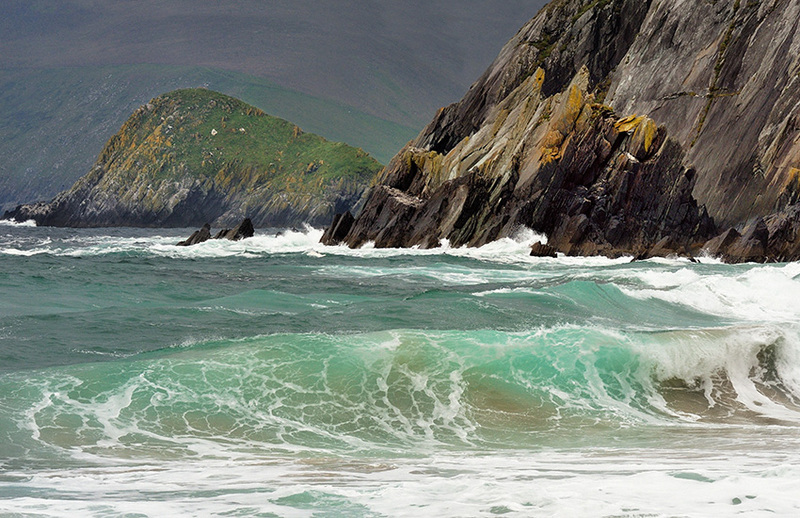 The Dingle Peninsula located on Irelands south west Atlantic coast is ringed by sandy beaches and craggy cliffs. Inland you will find rolling hills and mountains including Mount Brandon. Visit the museum, play Viking chess, plot St Brendan’s route to America, guess the origin of Ireland’s animals, decipher a secret Ogham message, discover a Stone Age survival kit. 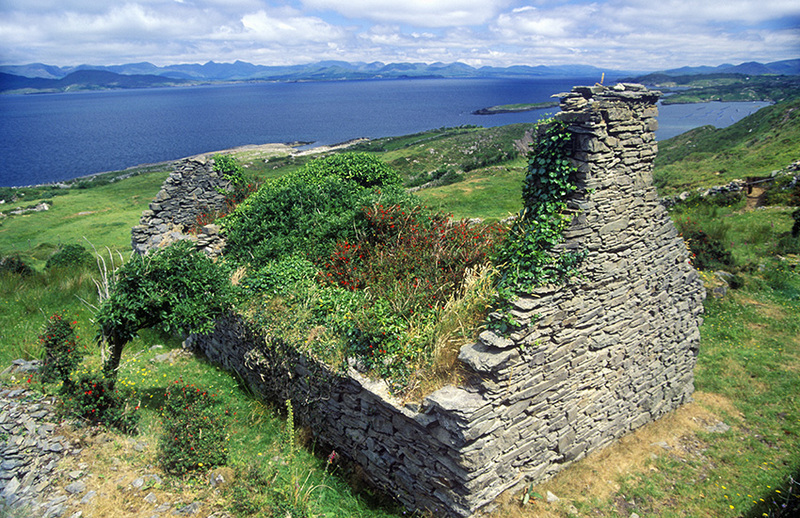 You will also find countless artefacts illustrating Kerry’s turbulent history and fascinating archaeology. County Donegal is a largely Irish speaking region bordering the Atlantic Ocean in North West Ireland. Here you will find castles, rugged coastline and mountains. What to do in Donegal? At the end of the walk there is the spectacular Glenevin Waterfall, standing over 40ft tall, it is a sight not to be missed. At 751 metres, Errigal is the highest mountain in Donegal and it’s majestic glittering quartzite peak dominates the northwest corner of Ireland. For many, it is quite simply the most beautiful mountain in the country and it is certainly among the most climbed despite its remote location. Errigal has the magical quality of appearing to change shape depending on what direction you view it from. Donegal Castle is in the town centre of Donegal. Built by the O’Donnell chieftain in the 15th century, beside the River Eske, the Castle has extensive 17th century additions by Sir Basil Brooke. The Castle is furnished throughout and includes Persian rugs and French tapestries. Information panels chronicle the history of the Castle owners from the O’Donnell chieftains to the Brooke family. Would you like to tour Ireland in a motorhome?